Local regeneration, and action on local issues, is fundamental to the sustainability of local communities. This is especially the case in the UK, with the Government focus on such approaches as Local Enterprise Partnerships and neighbourhood development plans, and further devolution proposals in the pipeline. The Local Regeneration Handbook meets the needs of today's practising "regeneration workers", broadly including anyone from regeneration partnership or development project officers to housing association neighbourhood officers, parish councillors, or other active local citizens, who all share a concern for the wellbeing of the community where they live or work, and a need to work with others for the best possible future for that community. Containing practical advice, templates, and real-life case studies for different stages in local regeneration, including fundraising, partnership development and project management, as well as support for personal development, and illustrations of key points by cartoonist Kipper Williams, this is an essential guide for anyone in local regeneration. 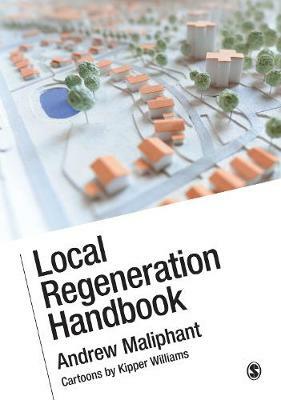 Andrew Maliphant makes the art of local regeneration easy and practical for student and practitioner in this exciting and user friendly handbook. No stone is left unturned in his comprehensive advice on the purpose of regeneration and the teamwork critical to it, the pitfalls to avoid and the thematic context. He debunks the myths surrounding the regeneration types in the sustainable development and planning contexts, with clarity, in layman's terms. His analysis of the operational aspects of regeneration (managerial and financial) is indispensable for all readers serious about involvement in local sustainability projects. For both the practitioner and the novice, this handbook is a brilliant guide into world of regeneration, providing an historic, academic and practical insight into a subject that can often confuse and overwhelm us. Case studies bring the concepts to life, making it relatable - and enabling the reader to identify the importance of a holistic approach as `regeneration' is presented in all its guises. The injection of humour and tips to navigate the jargon bring a smile to the reader, and genuinely make the book an educational delight.